P.T. 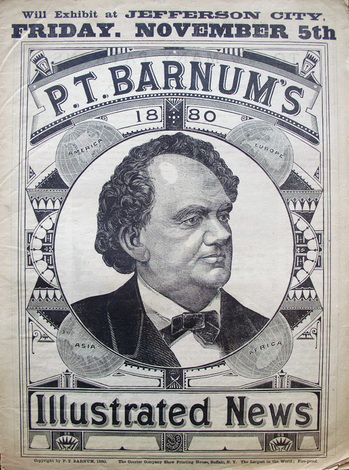 Barnum (1810-1891) issued an annual newspaper, sent out in advance of the circus as an advertising circular. This one was prepared for Jefferson City, Missouri; you can see where the location has been dropped into the top of the front page. 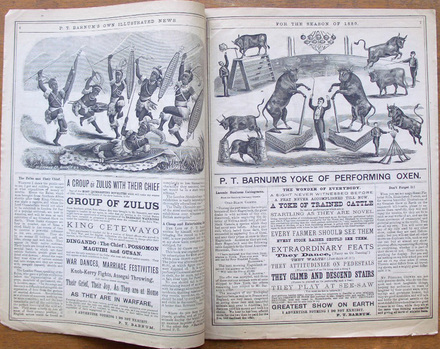 I've always enjoyed the dynamism and sheer fun of circus posters, and I love these P.T. 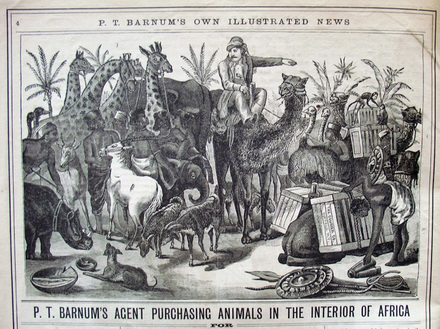 Barnum graphics! The Zazel human cannonball piece is so full of life and kinetic energy!